Innovative Interior Designs: Found Gems! Tuesdays are our "Found Gem" posts! 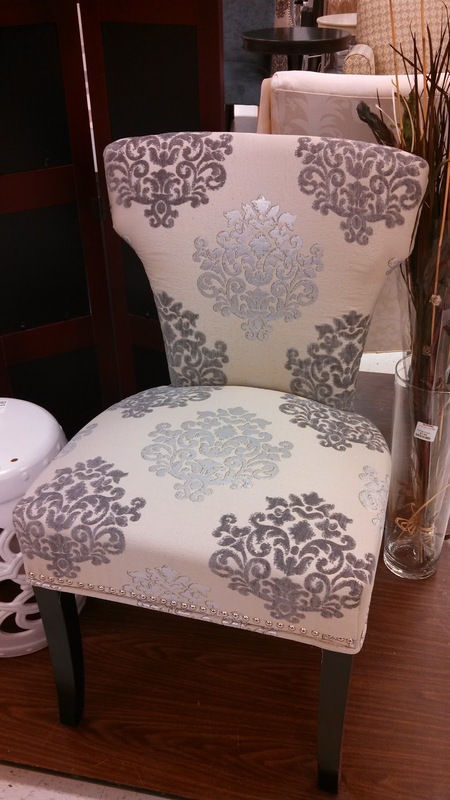 These Damask print chairs (set of 2) are exquisite and beautiful! They have a little shimmer to the design and are finished with metal studs around the chair to finish the design. These will look wonderful as the end chairs at your dining room table or as a little seating area to sit back and relax with a friend or book and a glass of wine.